– Photographers, hiking enthusiasts and professionals all get to have their say here. Throughout Europe, they’re embarking on a search for new adventures, challenging trails, and a truly special moment in the great outdoors. At the same time, they are getting to know new friends and cultures, taking part in exciting events, and adding to our wanderlust with their breath-taking photographs. For our blog, we want to know exactly what’s going on, and in this series of interviews, we pose “5 questions for” bloggers, travel journalists, and amateur and professional photographers. 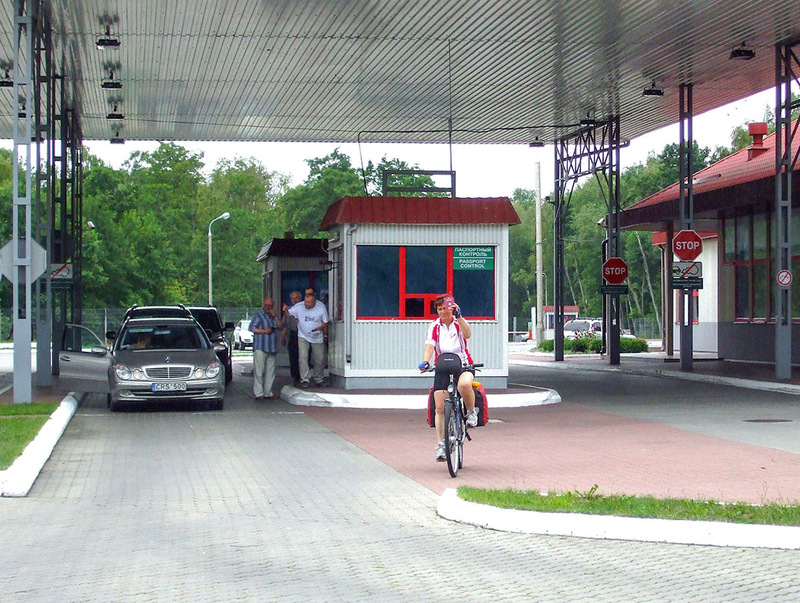 Bernd, during your cycle tour on the R1, you wanted to “test the borders” – both former borders like those around Berlin, and new borders such as the border between the Russian enclave of Kaliningrad and Lithuania, as well as cultural and personal frontiers. 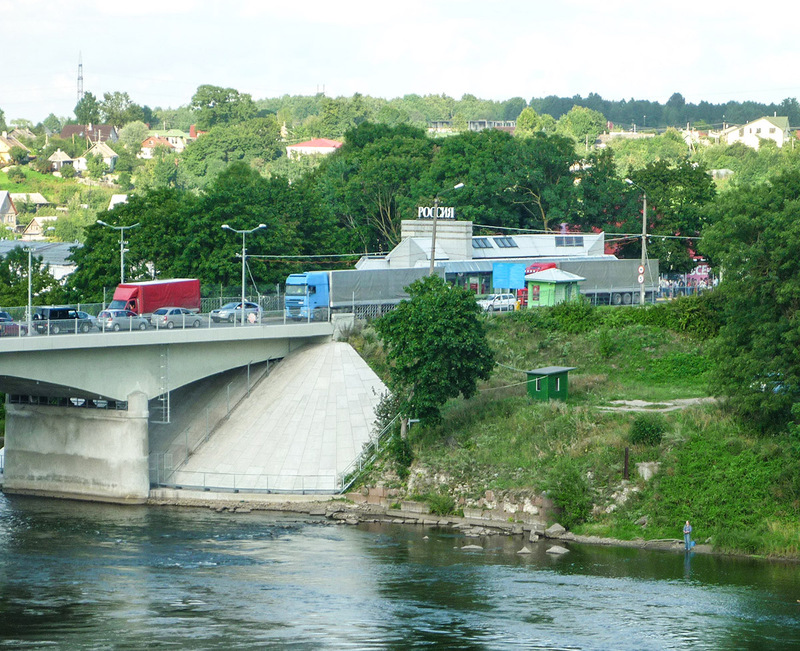 Why is it so important to you to “put the borders to the test” when travelling? Bernd: In fact, the lack of freedom to travel in East Germany was the main reason to take to the streets in autumn 1989. Even in school, they attempted to indoctrinate us in a socialist worldview – but your worldview is only really formed when you actually view the world. Putting borders to the test is both important and interesting. However, during this tour, we weren’t interested in pushing ourselves to the limit in sporting tests, as we had already done so by running marathons. After touring the R1, our view is that, if the European continent were completely free from border controls and currency boundaries, cycling along the trail would be even more relaxed. However, it’s even more important for Europe to be free from war than border-free. 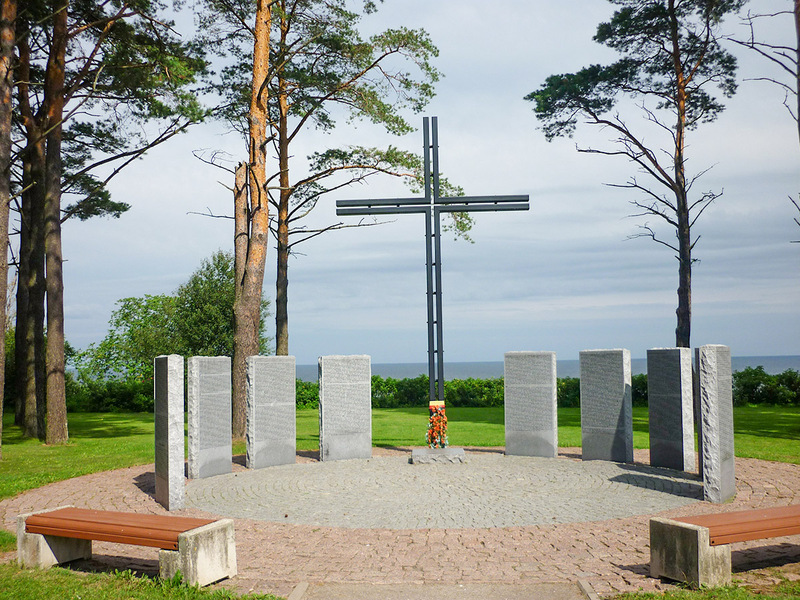 Monuments and military cemeteries along the R1, from France to Russia, recall the meaningless wars that were once so common in Europe. You cycled the R1 together, as a well-oiled team. Could you also manage covering that kind of distance, either independently from one another or completely on your own? Uschi & Bernd: We can’t imagine doing anything like this other than together. It’s even harder to imagine doing a tour as part of a larger group though. During the preparations, you were looking forward to “a cheese tasting with Frau Antje, Königsberger Klopsen (meat balls in a caper sauce) in Kaliningrad and well-chilled vodka filled to the brim of a sto-gramme glass* in St. Petersburg.” To what extent were you able to fulfil your plans while travelling, and which events do you remember particularly fondly? Bernd: We only achieved part of what we set out to do ;-). We did ‘meet’ Frau Antje at the “Green Week” in Berlin. I had to acknowledge, however, that the Dutch only invented Frau Antje for the benefit of the German consumer to stimulate their exports. In Kaliningrad, we searched in vain for a restaurant with Königsberger Klopsen on the menu and, at the end of the tour, of course I drank vodka in St. Petersburg – but only doubles, as no sto-gramme glasses are offered in the restaurants due to new laws to crack down on alcohol. There are lots of events that we look back on fondly – but we’ve each settled on one. Bernd: The return on the ferry between St. Petersburg to Lübeck, which lasted three days and two nights. In contrast to a two-and-a-half-hour flight from Berlin, you really feel how many kilometres you’ve travelled by bike, combined with the high that you get from completing the R1. 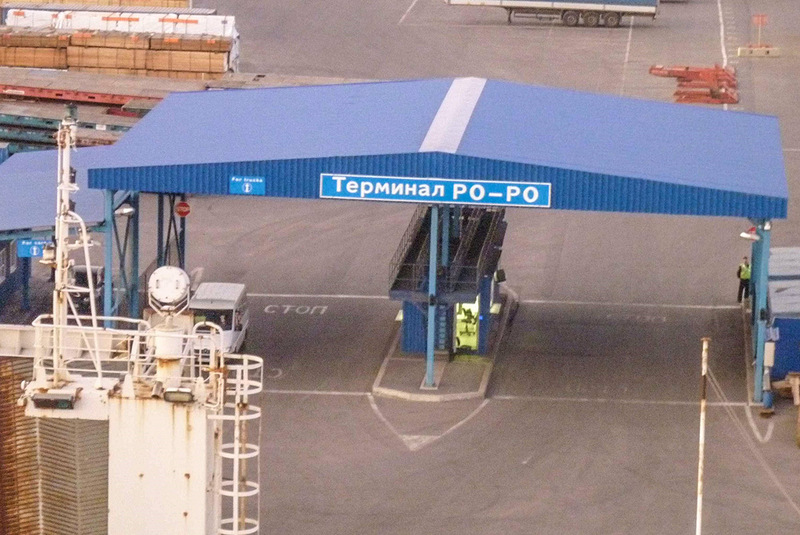 In addition, there was a real pan-European feeling on the ferry: the steward, Boris, was from St. Petersburg, the German trucker Siggi, his Armenian colleague Alexei, the ship’s international crew under a captain who was born in Magdeburg. In the evening, we met in the bar and drank Finnish vodka and Czech beer. If you each had to name a stage of the R1 European Cycling Trail as your favourite, which one would it be? And do you agree with each other? Uschi & Bernd: Definitely don’t agree! 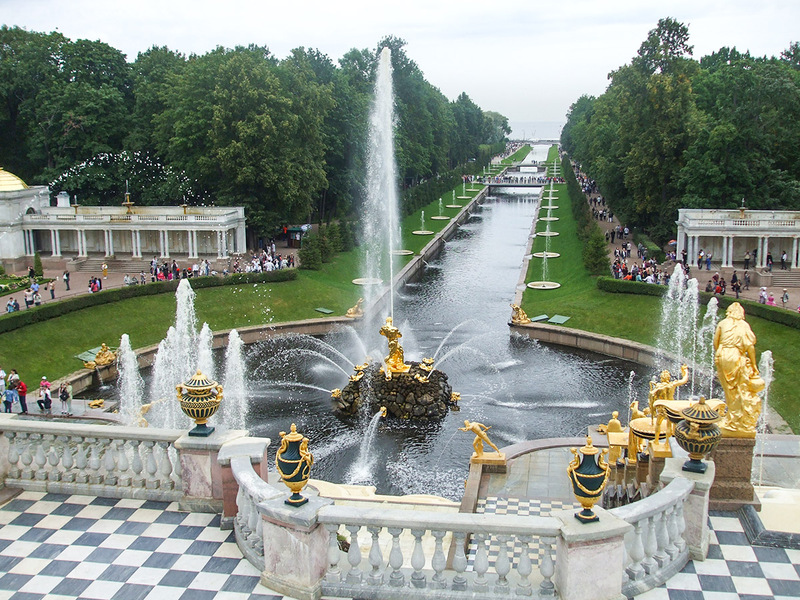 Uschi: The stage from Gurlevo to Peterhof (115 km). There is nowhere on the R1 where the contrasts are greater. 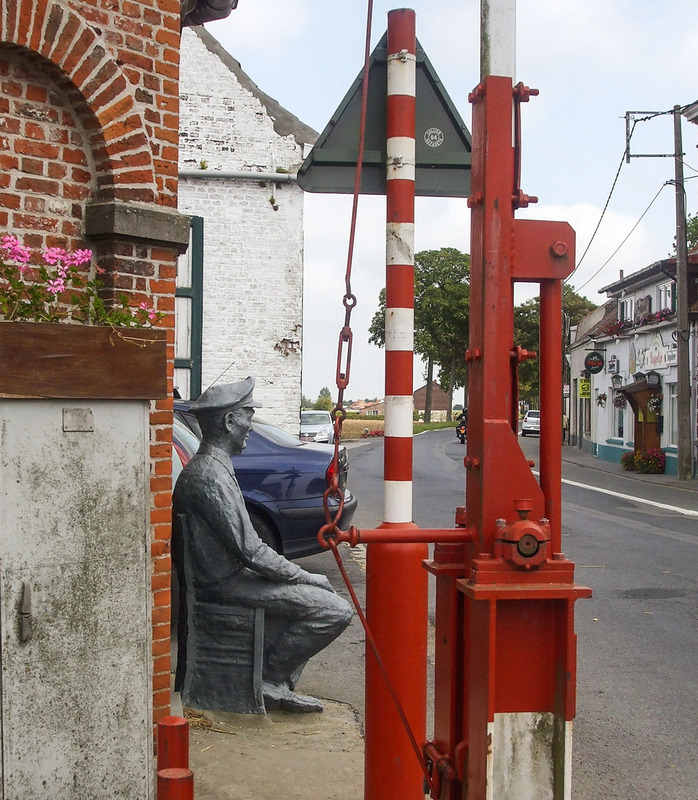 In the small villages, they were selling fruit and vegetables on the side of the street. We bought cucumbers from a grandmother and her children, who only had three cucumbers and two tomatoes to put on display on a stool. 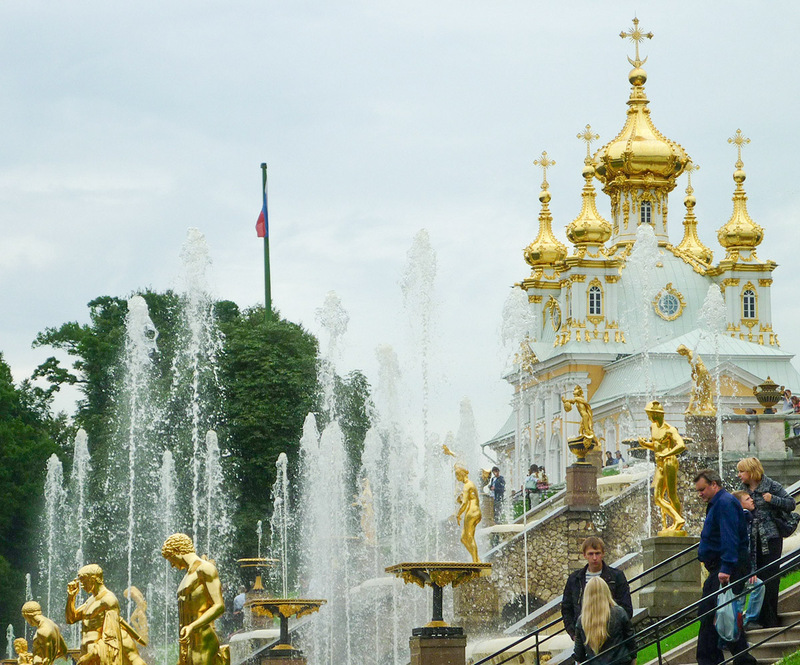 Directly outside Peterhof, there was a completely jam-packed bus station, and just a few kilometres further on there was the former Tsarist royal residence with so much gold and so many water features and magnificent buildings. Bernd: The last stage of the section between The Hague and Berlin, which we started in Brück (84 km). Firstly, we had covered over a thousand kilometres on our annual holiday and reached the German capital, Berlin. The highlight for me was riding through the Brandenburg Gate, which was the ultimate symbol of German division. During the Berlin Marathon in the 1990s I got goose bumps and had tears welling up when passing the gate. Many years later, on the R1, it was still the same. You wrote that you’re not exactly a technology freak, Bernd. So, what does your camera equipment look like – what’s your chosen method for capturing the perfect moment? Bernd: Not a technology freak is 100% right, and that applies to more than just GPS. I shot the photos on the tour with a 10 megapixel Panasonic Lumix digital camera. After the tour, I was annoyed that I didn’t take more photos, and better quality ones at that. It was a mistake, as photos help you to remember locations later on. My primary focus was on writing, though, and sometimes I was formulating passages of text in my head as we were riding along. The book, “Ostwärts – Auf dem Europaradweg R1 nach St. Petersburg” by Bernd Biedermann was published by the traveldiary.de publisher of travel writing and costs €14.80. *Editorial comment: Cto [sto/stɔ] means “hundred” in Russian. The “Stopka”, the traditional vodka glass, holds a weight of 100g.